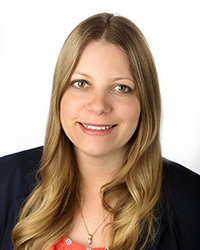 Dr. Lena Volland joined the university in 2018 as Academic Coordinator of Clinical Education (ACCE) and instructor for the residential Doctor of Physical Therapy (DPT) program. Dr. Volland received her original physical therapy education in Germany at the prestigious M&I College of Physical Therapy. After her immigration to the United States, she also received a Bachelor of Science in Kinesiology from California State University, San Marcos, as well as a Doctor of Physical Therapy at Mount St. Mary’s University. She is currently working toward a PhD in Translational Health Sciences at George Washington University. Prior to her current position she worked primarily in the outpatient orthopedic setting and functioned as Center Coordinator of Clinical Education. Her latest endeavor focused on the treatment of patients with severe bleeding disorders as well as the utilization of musculoskeletal ultrasound within this patient population to detect bleeding episodes and follow joint health longitudinally. She has participated in several research studies pertaining to this topic and is a sought-after speaker for national and international conferences and symposia. Dr. Volland is an active member within the APTA and functions as the chair of the scholarship committee of the Imaging Special Interest Group. Furthermore, she serves within the San Diego District and CPTA and was appointed to the CPTA Research Counsel. She remains active within the world of bleeding disorders and is a member of the World Federation of Hemophilia (WFH), including its musculoskeletal committee.